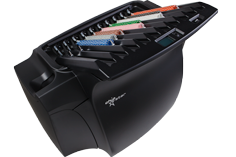 CHIPSTAR™ combines a custom user interface with state-of-the-art technology. It improves roulette perfomance withuot impact on chip durability, requires minimum service and features gentle chip handling. 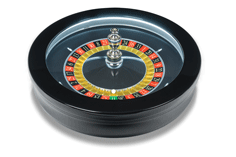 CAMMEGH™ CONNOISSEUR american roulette wheel is the finest example of precision engineering, offering market leading quality and security. 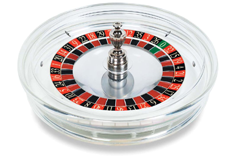 CAMMEGH™ CRYSTAL is a most beautiful interpretation of traditional roulette wheel, created with acrylic transparent bowl and rotor, inspiring aesthetic wonder and confidence with players all over the world. 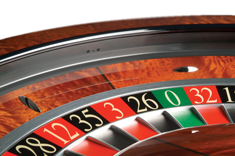 CAMMEGH™ MERCURY360 brings unrivalled security and operational features to the manual roulette wheel. It's 4 invisible in-rim sensors offer fast and reliable winning number recognition. 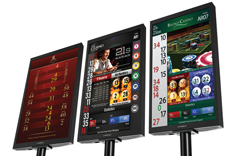 CAMMEGH™ BILLBOARD DISPLAY complements any roulette table by displaying results, statistics and promotional material in pin-sharp high definition. 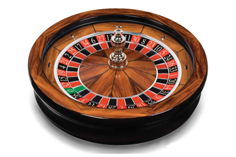 CAMMEGH™ SLINGSHOT 2 is the most open, accurate and reliable automatic roulette wheel available anywhere in the world. Simple & innovative system of air jets launches the ball in an almost magical demonstration of precision engineering. Highly durable MATSUI WHEELCHECKS have a perfectly balanced weight and easy chip handling, ensuring gaming process is most satisfying for the players. 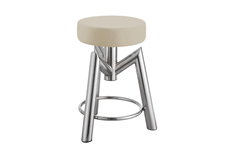 ROYAL STOOL SELENA GOLD has an elegant low profile ergonomic design. 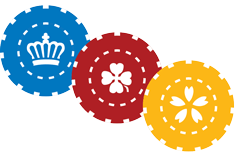 Offering players maximum comfort on casino roulette tables.